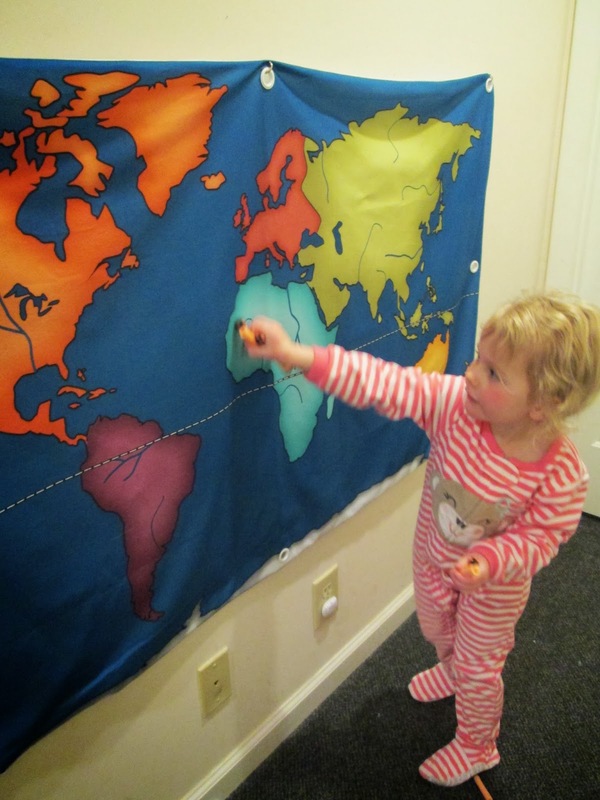 Montessori Messy: Nerf Guns + Wall Map = Fun Geography! I wrote last year about these super cheap wall-hanging world maps. 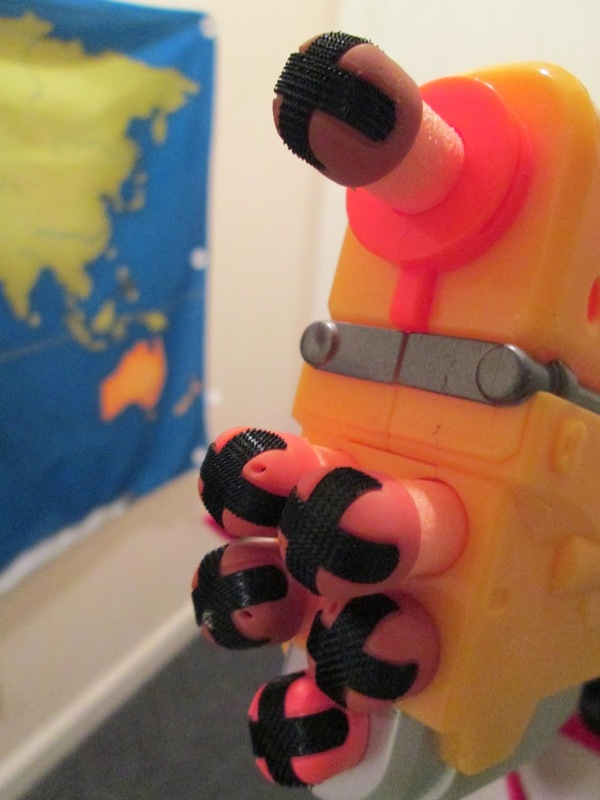 Today, while playing with our prodigious Nerf gun collection, I had an inspiration for a geography game. Can you help me to name it? First you need these hook-and-loop Nerf darts. I think we originally got them with a 2-person Dart Tag Nerf set that included fabric vests. The darts will stick to your wall map. Then announce your target! It could be one of the continents, or (if you've labeled oceans or countries) any part of the world. To make it more challenging you could have them reason through geography questions in order to identify their target. For instance, "Shoot the largest continent!" or "Hit the ocean that's between North America and Europe!" Since Montessori is all about mixed-ages, send a younger child to fetch the darts by asking, "Can you bring me the dart on Africa?" for instance. Kids will often respond well to a game like this, and I'm always looking for ways to involve movement and mixed ages. Nerf weapons are toy firearms made for safe indoor play. The brand Nerf implies Non-Expanding Recreational Foam.